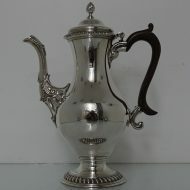 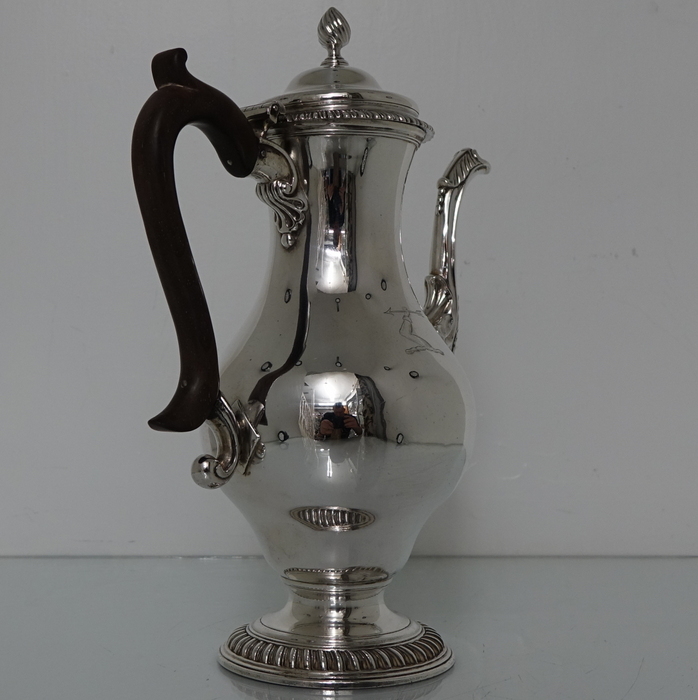 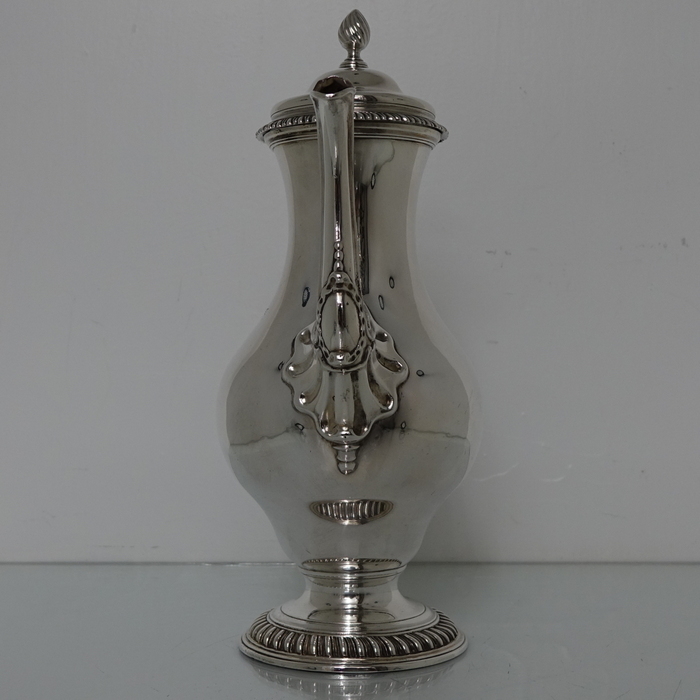 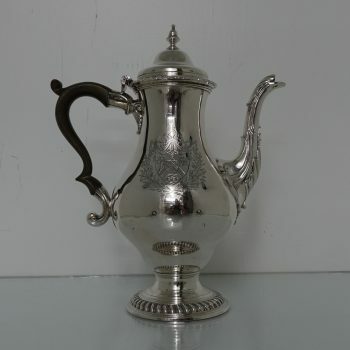 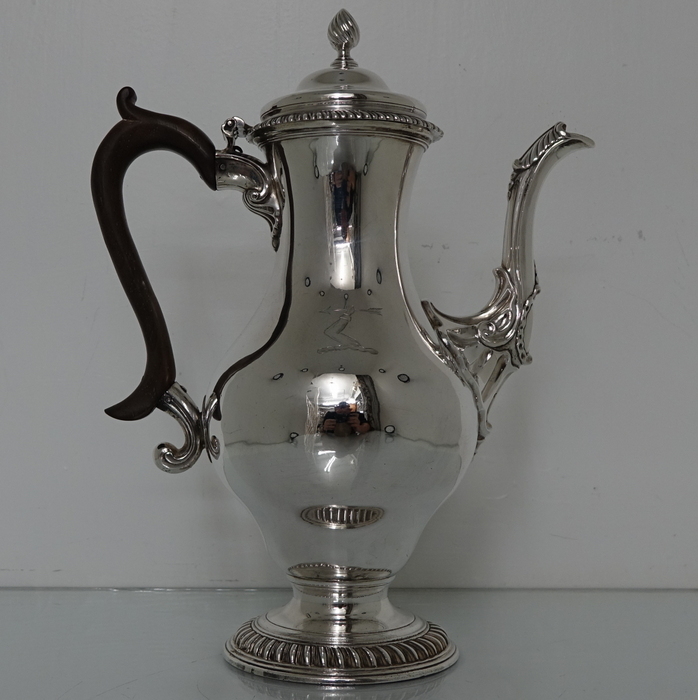 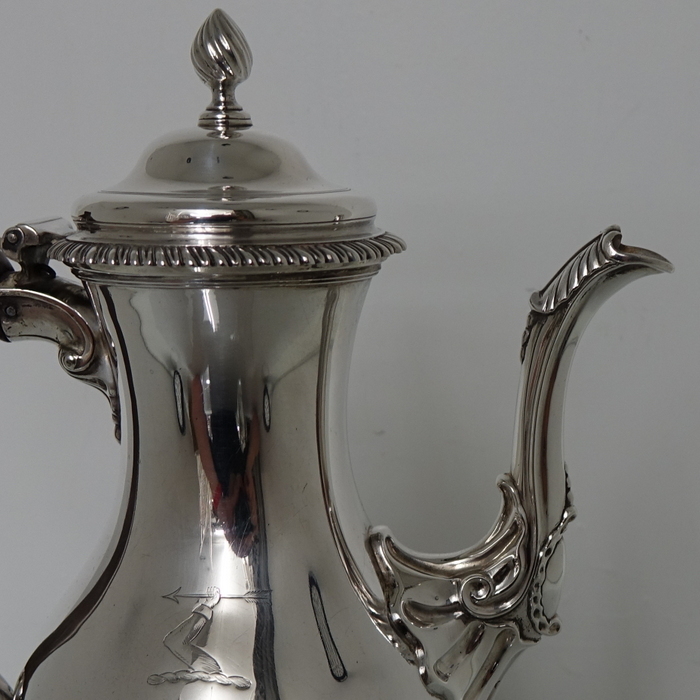 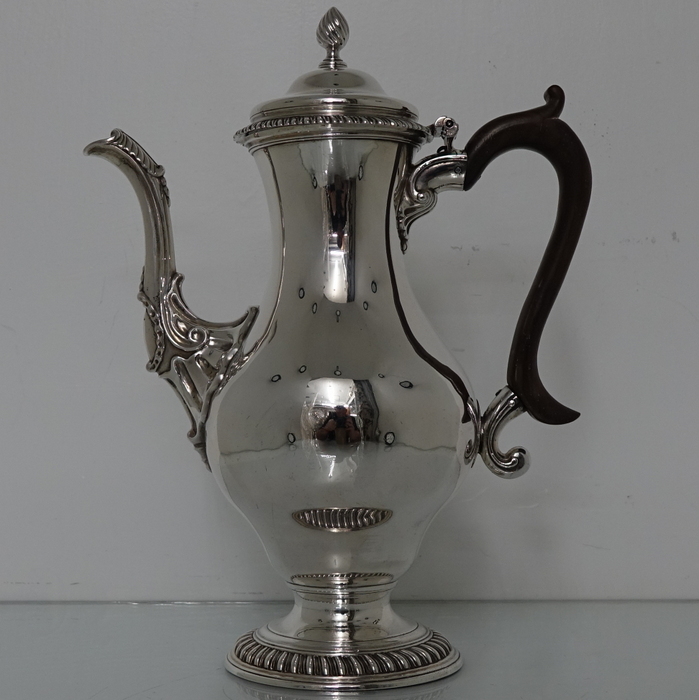 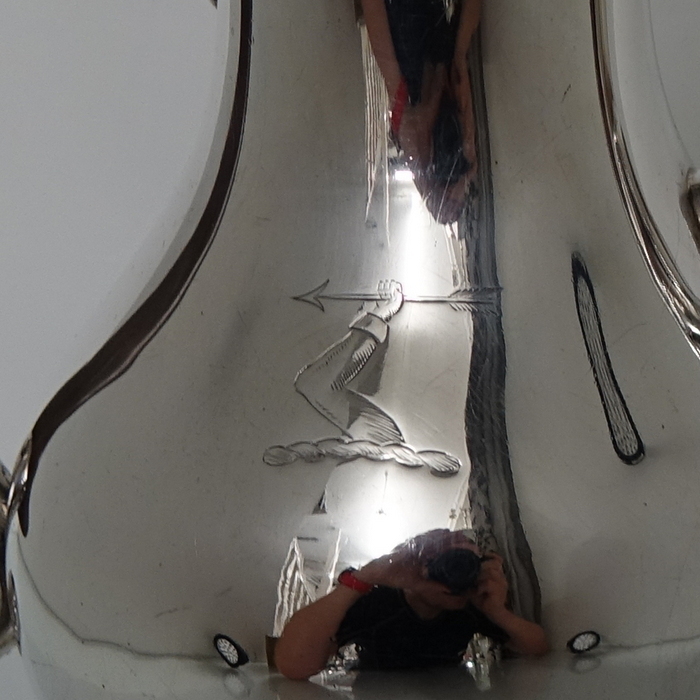 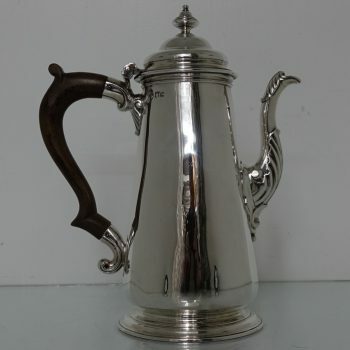 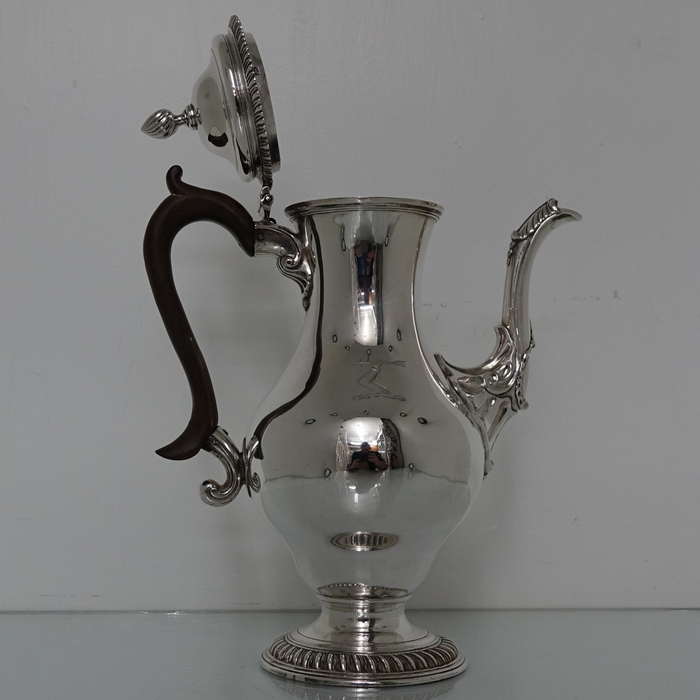 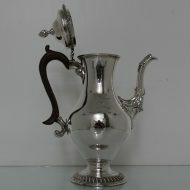 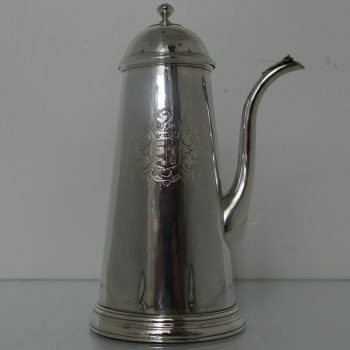 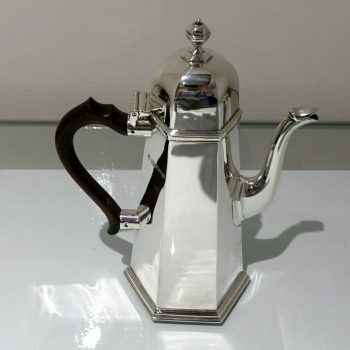 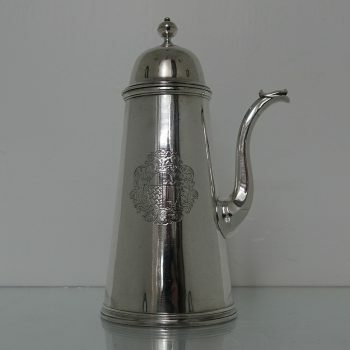 A very collectable and extremely rare Louisa Courtauld & George Cowles pear shaped coffee pot. A very collectable and extremely rare Louisa Courtauld & George Cowles pear shaped coffee pot. 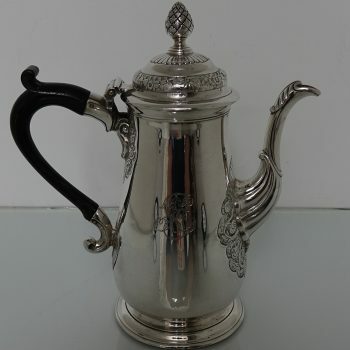 The coffee pot has an upper and lower band of gadroon for decorative highlights, a fruit wood scroll handle and a beautifully crafted spout. 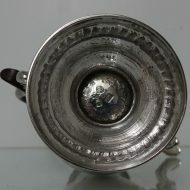 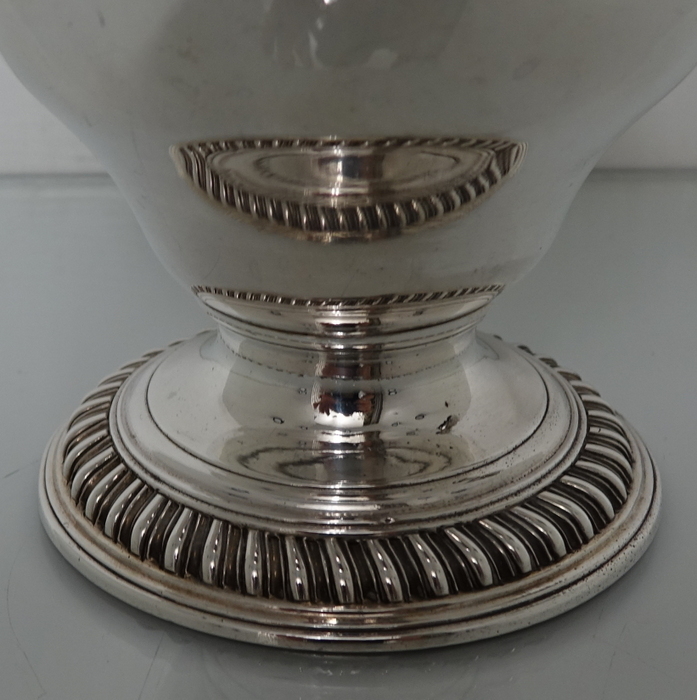 The lid is hinged and is crowned with a elegant acorn finial. 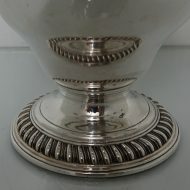 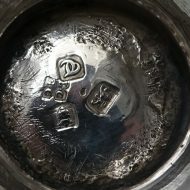 There is a stylish contemporary single crest for importance.